Truck accident injury compensation. That's our specialty. If you’ve been injured in a van, truck or heavy vehicle crash as a driver or passenger, we’ll help you get the maximum compensation payments available to you. As a professional driver, we understand that time off the road means lost income, so our job is to make sure you’re compensated for all your losses. I've been in a truck accident. What should I do? If you’ve been in recent truck accident, it’s important to get your compensation claim lodged as quickly as possible. Legislation that applies to truck crashes after December 1, 2017 puts restrictions on claiming lost wages if claims are not submitted on time. These restrictions don’t apply to accidents before that date, however some other time restrictions do apply. Whenever your accident happened, our specialist truck accident compensation solicitors can help you claim all your compensation entitlements, including lost income, a range of other benefits and lump sum payments in some circumstances. I was working when the truck accident happened - how does that affect my claim? If you were working at the time of the crash, you may be able to make multiple compensation claims. For example, you may be eligible for workers compensation as well as compensation under the CTP insurance scheme. Also, if your injury prevents you from returning to work as a truck driver, you may be eligible for a lump sum TPD claim. A specialist injury compensation lawyer will be able to explain over the phone what you’re entitled to claim, so it’s important that you get legal advice as soon as possible. Where can I find a truck accident injury expert in my area? We have solicitors and legal teams who specialise in truck accident injury claims. If your truck accident injury means you’re going to be off work in the future, or you can only return to work part time, you may be able to claim a lump sum for future lost earnings, right up until retirement age. To qualify for this lump sum, your injuries need to be assessed as being non-minor. Both physical and psychological injuries are taken into account in this assessment. Also, if your injuries are assessed as being more that 10% WPI (whole person impairment), you may be eligible for an additional lump sum for pain and suffering. For more information on claiming lump sums you can call our free advice line, or read this article. How can I make sure my claim is successful? 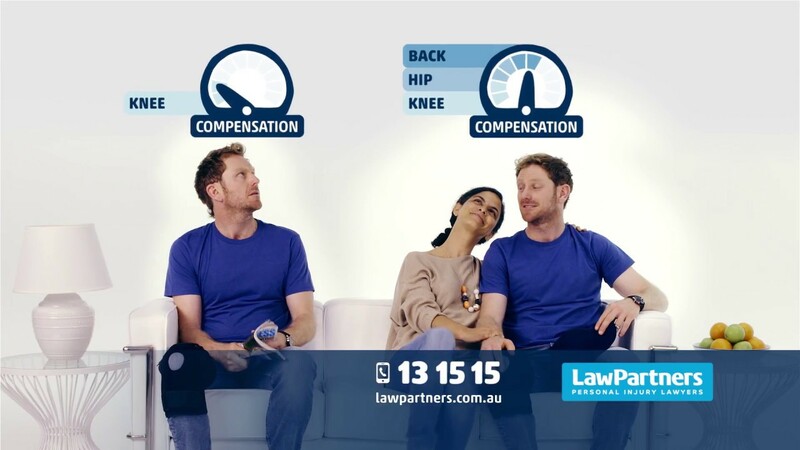 Before you lodge and application for personal injury benefits, take a few minutes to understand what you might be entitled to and how your application will be assessed. SIRA is the government agency that regulates the CTP insurance scheme. But what most people don’t understand is that even though you lodge your claim through the SIRA website, SIRA doesn’t have anything to do with making your payments – in fact, SIRA doesn’t even look at your claim. If you simply follow the steps on the SIRA website, you might miss out on benefits you’re entitled to, including lump sum payments. To find out more about how to maximise your benefit payments, you can call our free advice line or visit www.ctpclaimadvice.com.au.